Whether it’s fantasy football, straight up pick em contests or against the spread pools, the NFL lends itself to so many fun and exciting pools, leagues and contests. One contest that has surged in popularity in recent years is an NFL survivor pool. 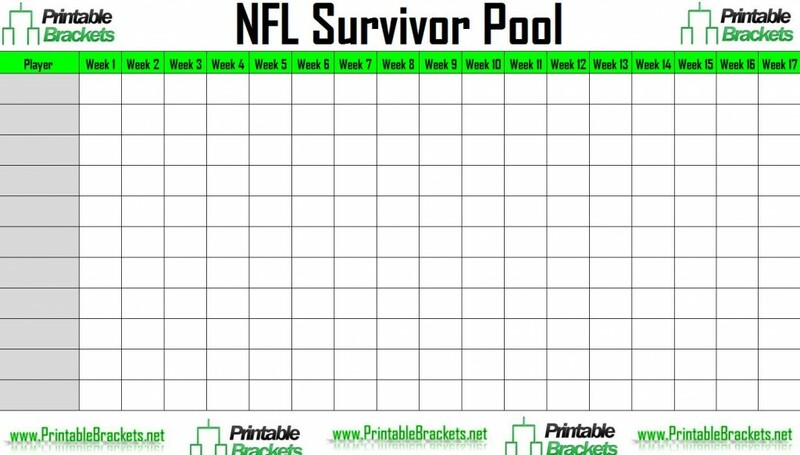 Also known as a suicide pool, survival pool, confidence pool or knockout pool, the survivor pool seems like it would be one of the easier football contests to participate in. However, many find out the hard way it can be the most difficult. While the objective of a survivor pool is fairly simple, executing a winning strategy can be exceptionally difficult. 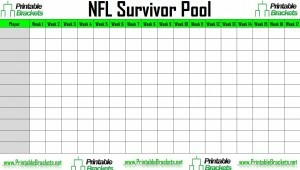 Each week during the regular season, a participant in a survivor pool will select only one of the 32 NFL teams they believe has the best chance to win. The caveat is that once you have selected a team and locked it in for a week, you cannot use that team for the remainder for the season. For example, let’s say you select the Seattle Seahawks to win their Week One matchup against the Arizona Cardinals. If the Seahawks win, you advance to pick in Week Two. However, you cannot choose the Seahawks in any week for the rest of the year. Using the same example, if you chose the Seahawks and they lost, you are automatically eliminated from the survivor pool. Just one incorrect pick will kick you out of the tournament for the remainder of the year. As the weeks of the season roll on, it’s likely the pool field will dwindle with incorrect picks. The person to have the final remaining correct selection, no matter the week, is declared the winner of the pool. This could happen in Week 1, Week 6 or any other week of the year. It’s all based on how well the pool players make their picks. There are several different strategies you can employ when competing in the pool. Some like to burn through all the elite teams early and roll the dice later, while others will look for potentially good matchups on paper and roll the dice early so they have more elite teams at their disposal later in the year. Either way, a survivor pool is just another way to add a little more excitement to an NFL weekend.